In this section you find panorama images. Most of them are in spherical QTVR-format. To open them you need Apple QuickTime installed. You can download it here (external link). Clicking on the image will open them in a new window. This is the new Waterfront in Bristol, UK. The bridge spans a part of the Bristol floating harbour built by Brunel. You can see the city center, Arnolfini and the Watershed. Also many bars and clubs with a vivid nightlife. The medieval town center of Freiburg im Breisgau, Germany. The over 700 year old cathedral is partly covered by the November fog. Throughout the day, this place is the main marketplace of the town. In collaboration with the Byzantine Museum in Nicosia, Cyprus and the University of Cyprus, a virtual walkthrough of the museum exhibition was created in 2008. It can be accesed under www.makariosfoundation.org.cy/byzantine_spi/dswmedia (requires Adobe Shockwave). Example panorama out of the virtual walkthrough. Spherical images can be projected in many different ways. 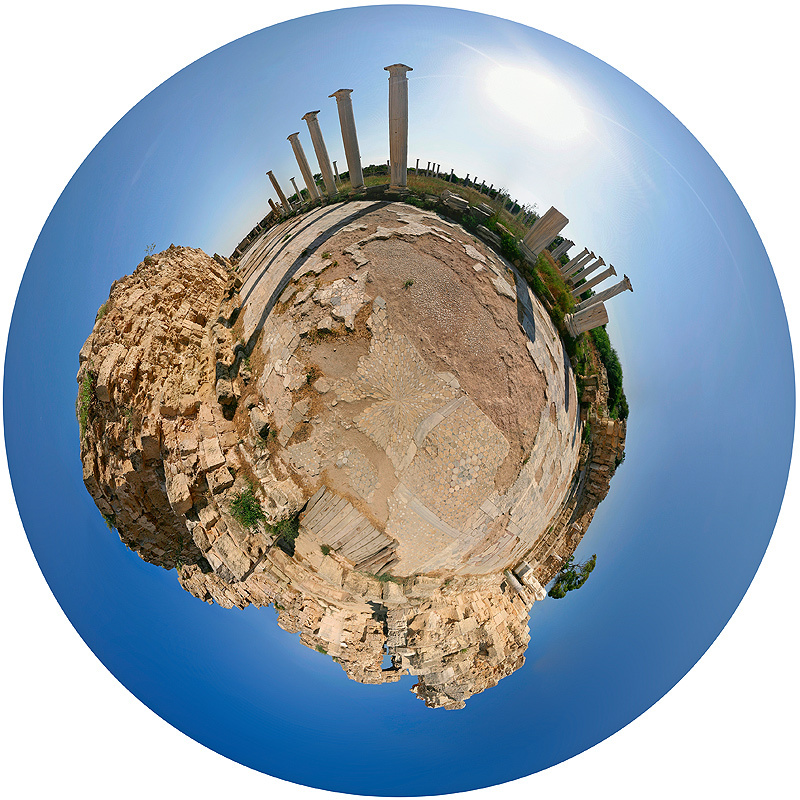 This is a polar projection of the Salamis Panorama from above. It contains all information as the one above. The center is directly below and the outer circle is up. The Clifton Suspension Bridge spans the Avon Gorge in Bristol, UK. This image is an extreme High Dynamic Range image (Two times the dynamic range the human eye can see). To display the image on a normal screen, it had to be compressed in dynamic range again (tonemapping). Now both the bridgeil ghts and the dark trees and shrubs are visible.